I was raised by an emergency room nurse and a police officer. The side effects of this include running toward people in need, lack of understanding that certain things aren’t appropriate to talk about at meals, and a core belief that everyone who is able should donate blood regularly. You know all the altruistic reasons for donating blood. I won’t repeat those. Free stuff – you know about the cookies and juice, but did you know at San Diego Comicon they give a bag of swag too? Sometimes there are t-shirts and collectibles. Other conventions might have similar giveaways. Free WIFI/Netflix access – If you give plasma and/or platelets (which take longer to do), some places lend you an iPad with access to Netflix while you donate. 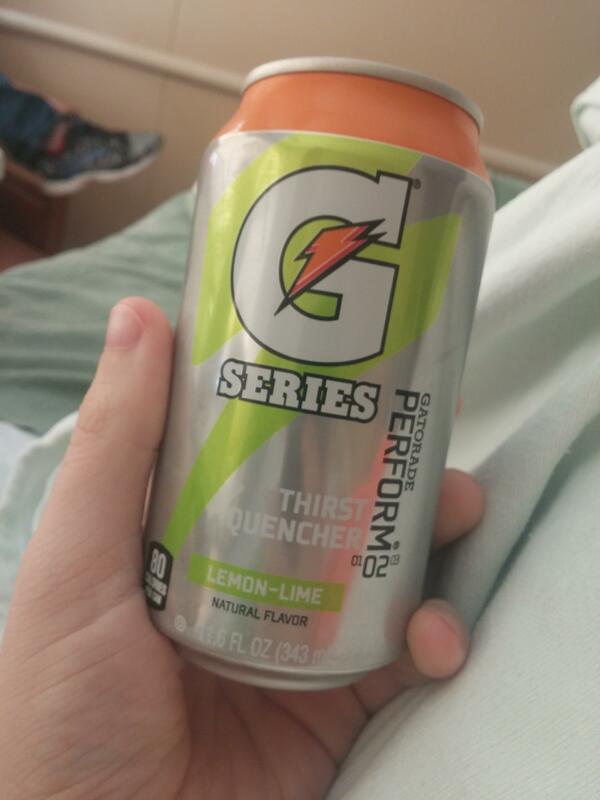 You find out things like Gatorade comes in cans. It’s weird and unnatural but true. Some places have pins for donation milestones. These can’t be bought. They must be earned so they are extra awesome pieces of flair to collect. Basically, you can be donating for all the right reasons or completely selfish ones and still save lives. How often does that happen? Side note: I understand that some people aren’t able to do it for all kinds of reasons which is totally fine. However, you could always volunteer to check people in or make sure they are full of juice and cookies. You get cookies and free WIFI too for volunteering. Different areas have different places to donate so I recommend asking Google for a local donation spot. You can usually find something to fit with your schedule no matter how crazy that schedule might be. I am in the Seattle area so I donate at Bloodworks Northwest. Their website is pretty great for getting more details if you want to poke around there. One final reason is the most obvious. You could run into a vampire.